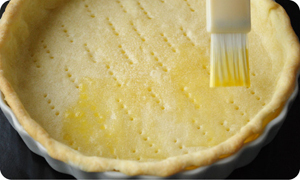 Make the pie crust using the pastry recipe. 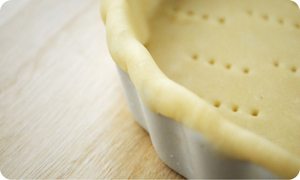 Line the prepared pie dish with the rolled-out dough, cutting off any excess with a knife. 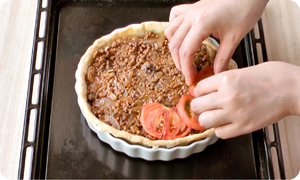 Take the pie dish out of the fridge, and spike the bottom with a fork. 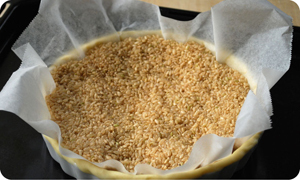 Cover with a layer of oven paper and weigh it down with rice or beans. Cook for 15 to 20 minutes in a 200 degree centigrade oven. 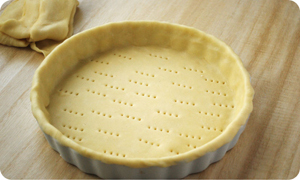 Remove from the oven, remove the oven paper and rice or beans, and brush the pie crust with egg. 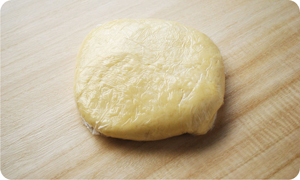 Return to the oven for 5 minutes. 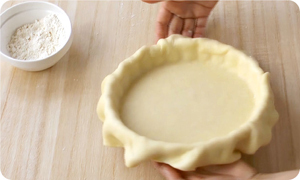 Leave the pie crust in the dish. 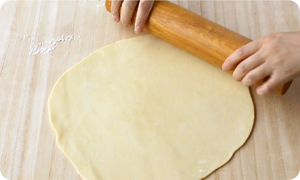 Roll out a small amount of dough to about 2 or 3 millimetres thickness, cut into strips about 1.5 centimetres wide, wrap and leave in the fridge for about 15 minutes. 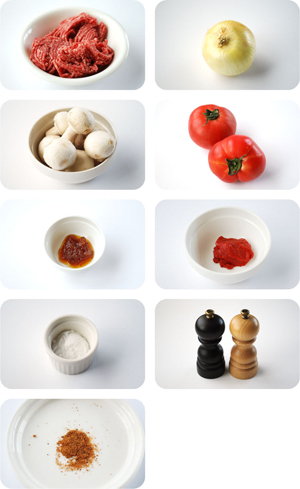 Dice the onion, mushroom and tomato. 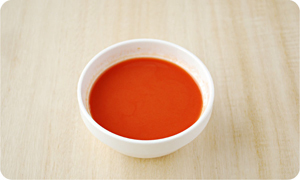 Mix together the tomato puree, cornstarch and water. 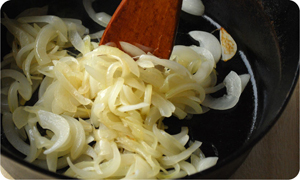 Heat a frying pan and fry the onion in a small amount of oil. 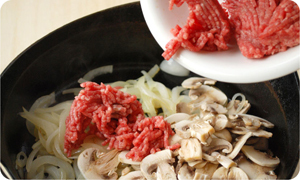 Add the beef, mushrooms and nutmeg and fry. 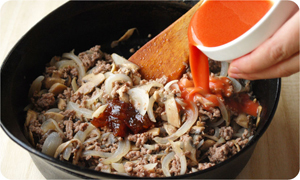 Add the mixed tomato puree, cornstarch and water and stir. 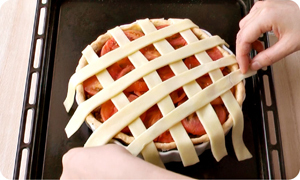 Transfer the filling into the precooked pie crust, layer sliced tomatoes on top. 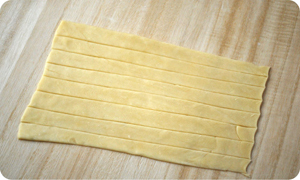 Lay strips of pastry over the top and brush with egg. 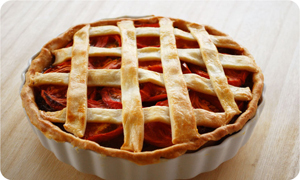 Bake for 20 to 30 minutes in a 200 degree centigrade oven.